A Gloucester head teacher who failed to get medical help for a pupil whose leg was broken has been reprimanded for unacceptable professional conduct. The General Teaching Council (GTC) for England heard the case against Rowena Brace of Hope Brook Church of England Primary School Church Road, Longhope. It heard in 2005 Mrs Brace ate lunch for 10 minutes instead of summoning medical attention for the boy. Mrs Brace has the right of appeal to the High Court within 28 days. The hearing was told the head teacher finished her lunch then called the child's father, who worked nearby, instead of emergency services. The 11-year-old was eventually taken to hospital by his father. The GTC said: "In making the finding we rejected the suggestion the pupil had received medical attention from Mrs Brace. "By Mrs Brace's own admission she was not qualified to provide medical care. With the benefit of hindsight Mrs Brace acknowledges that she should have called for an ambulance." The GTC was also asked to look at allegations Mrs Brace behaved inappropriately towards five members of staff. It upheld one complaint but in the other four cases the council found the facts not proven. It also examined claims that in the spring term of 2005 she inappropriately allowed some pupils extra time to complete a SATs reading test and that in July 2005 she improperly revised the Foundation Stage Profile results. The council found against Mrs Brace in both cases. "We are satisfied that, in relation to the facts found proven, Mrs Brace's conduct fell short of the standards expected of a registered teacher and was a breach of the standard of propriety expected of the profession. Accordingly she is guilty of unacceptable professional conduct," a statement from the council said. In accordance with the Council's Regulations, the reprimand will remain on the GTC Register for two years. 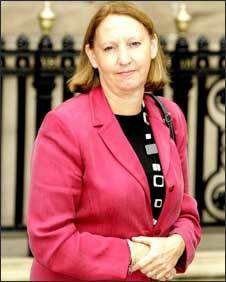 Ms Brace was sacked from her post at Hope Brooke in 2007 following complaints from staff and parents.